Car-wash operators are supposed to have a special licence that shows they’re dealing responsibly with the waste water that streams into the city’s sewers. But a cross-check of Irish Water records with car-wash businesses in the city suggests that many – including some big names – don’t. 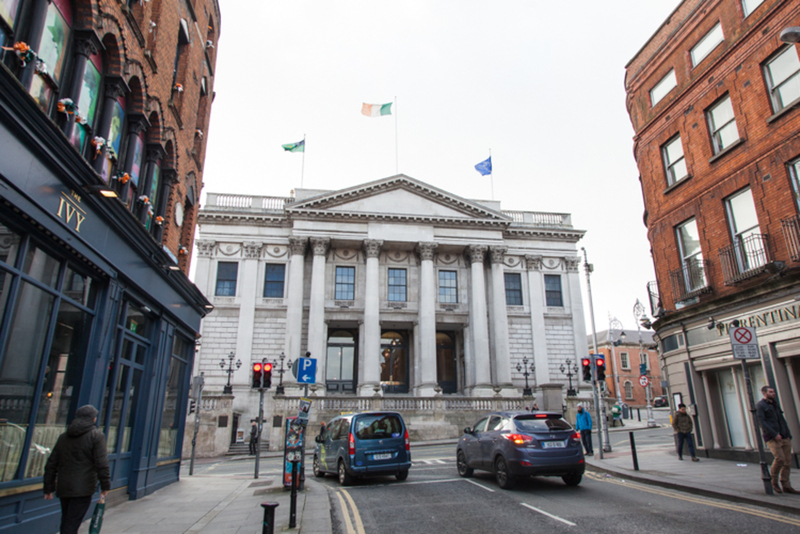 “It’s scandalous that a high number of car washes around the city are not taking responsibility for the pollution they are creating,” says Ian Carey, communications officer at the Environmental Pillar, an advocacy coalition of 28 Irish environmental NGOs. “People might think that the run-off from car washes is fairly harmless but that is not necessarily the case. It could easily contain petrol, diesel, oil or other engine lubricants which can have a devastating impact on marine life if it made it to our rivers or oceans untreated,” he said. There is a legal obligation on all car washes that discharge waste water to Irish sewers to apply for a trade-effluent discharge-to-sewer licence, which exists to regulate pollution caused by businesses. It’s up to Irish Water to regulate whether or not they have them. Two of the city’s petrol giants though, Topaz and Applegreen, are operating car washes which, according to records provided by the regulator Irish Water, don’t have licences. Just three Applegreen service stations in Dublin are listed as licensed, according to information supplied by Irish Water. We identified five Applegreen outlets with car-wash facilities, listed on their website, which are not on the register. Applegreen didn’t reply to two emails and two voicemail queries as to whether or not they think any of their outlets aren’t regulated, and why. A Topaz spokesperson, meanwhile, said that eight of its service stations, which require licensing, are not currently registered. 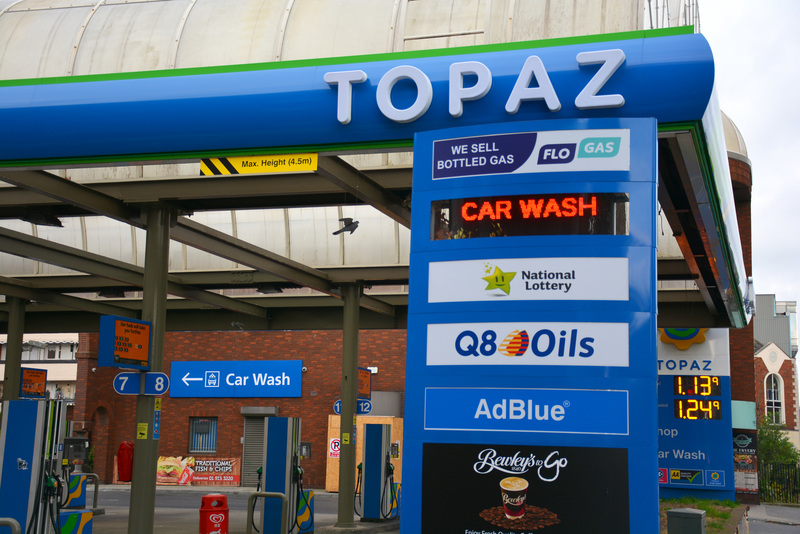 “There are 29 Topaz sites in the greater Dublin area that operate a car wash facility. 21 of these have Trade Effluent licences in existence, with the remainder in process,” said the Topaz spokesperson, by email. Towards the end of 2015, Topaz took over rival petrol-station chain Esso. All of the 34 service stations in Dublin with car washes that they took over from ESSO have the licence, said the spokesperson. The Topaz spokesperson refused to name which of its outlets are not licensed. It’s hard to say for certain whether those car washes that aren’t on the Irish Water register don’t have licences. The data might be incomplete. Irish Water said that there is a possibility that some of the licences have not yet been transferred to them from the local authorities, despite the fact that they took over licensing in 2014. “Whilst every effort is made to ensure the accuracy of the information, it is not possible to guarantee that it is accurate in all cases. Information compiled by third parties is not necessarily correct, and is provided as is,” said Martin Hogan, the wastewater source control and licensing project manager at Irish Water. Petrol-station chain Maxol failed to clarify how many service stations with car washes it operates throughout Dublin. But there are nine Maxol garages licenced in the greater Dublin area, according to Irish Water. Ten Texaco garages have the licence. Valero is the parent company of Texaco – it has the licence to use the Texaco brand in Ireland. She said she would try to clarify the number of Texaco car washes operating in Dublin, but hadn’t sent the details by time of publication. Tesco have also failed to clarify how many car washes they are operating in Dublin and whether or not they are licensed. They have just one licensed car wash on the Irish Water list for the city. According to Irish Water records, just 35 independent car washes are licensed in the whole of greater Dublin. It’s unclear how many independent car washes are in the city. It’s not just environmental NGOs who are concerned. “Our membership is very concerned at the substantial growth in the non-forecourt operated car washes that have sprung up on vacant lots, disused forecourts and car parks across the country, “ said David Blevings, a spokesperson for the recently formed Irish Car Wash Association (ICWA) which represents the owners of car washes. The ICWA wants to see a full licensing scheme introduced to regulate the industry which should be managed by the Office of the Revenue Commissioners, said Blevings. 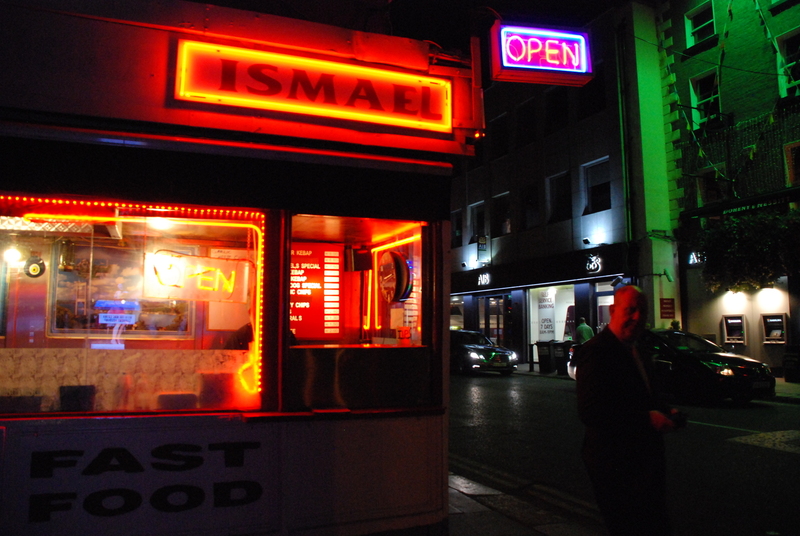 “Licensing car washes would mean this type of business would be registered, responsible for PRSI, corporation tax and VAT,” he said. 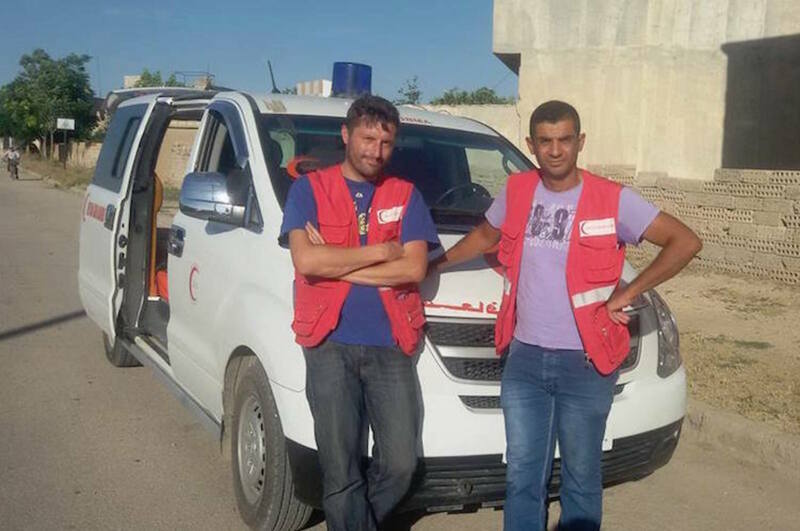 “Without a licence, the site would not be able to trade, reducing the opportunities for running a cash business which may provide cover for other activities such as money laundering and forced labour,” he said. Hogan of Irish Water said there is a reason why a number of outlets might be unregulated. “Our understanding is that, prior to the formation of Irish Water, trade-effluent licensing from car washes was not prioritised for inspection on a national or local basis,” he said. Irish Water took over regulation of the discharge of trade effluent to sewers from the local authorities in January 2014. Hogan says unlicensed discharges can damage the sewers, interfere with the wastewater treatment plants, cause by-products at treatment plants that the plants can’t treat or deal with, or cause unacceptable discharges to the environment at combined sewer overflows. The risk isn’t as great as with some other industries though, says Hogan. “Discharges to sewer from car washes in the Dublin area rank as low-risk discharges and their risk score decreases further when each are licensed and managed appropriately,” he says. Irish Water are reliant on businesses regularising their situation by applying for the licence, he said. Carey of Environmental Pillar said he is not impressed with the regulator’s response. 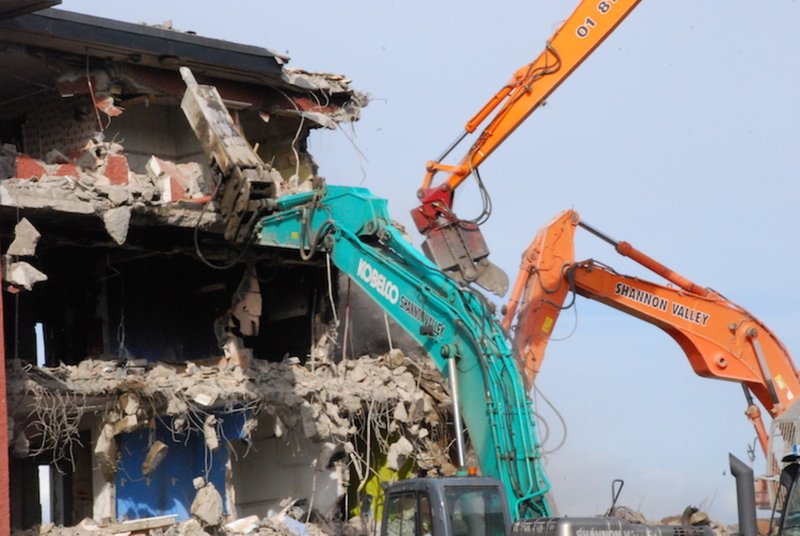 “The authorities in Ireland have a track record of turning a blind eye to the flouting of existing environmental regulations, quarries and peat extraction are two other examples. We must hold companies that break environmental regulations to account,” he said. Under the 1977 Local Government (Water Pollution) Act, those who operate without a licence face penalties of a fine of up to £250 on summary conviction (with up to £100 for every day the offence continues), or six months in prison. If convicted on indictment, then the fine rises to up to £5,000 (with up to £500 for every day the offence continues), or up to two years in prison. “When companies who are having an impact on the environment are not licensed then they are at a competitive advantage to other more responsible businesses. This means we are incentivising companies who pollute, which is crazy,” said Carey.